When one considers the so called “high degrees” of Freemasonry today they often believe these have always existed in all jurisdictions. Such is not the case though and there is no more perfect an example than that of the degrees of Cryptic Masonry. This small but significant collection of degrees was quickly adopted as part of the York Rite system, often called the American York Rite of Freemasonry. No where is this adoption more evident than in Oklahoma where the lessons taught by Cryptic Masonry were readily sought out by those pioneer Brethren who cemented the future for generations to come. …I am sufficiently acquainted with the zeal and character of the Companion Royal Arch Masons whom he represents to feel sure that a prosperous Council will be maintained there, if one shall be organized. The year 1889 would see the opening of the Unassigned Lands and the formation of Oklahoma Territory on May 2, 1890. [xiii] The Companions of Indian Territory took note of this and hoped to expand the Cryptic Rite into Oklahoma under one banner, in the same fashion as with Royal Arch Masonry. A request was submitted to the General Grand Council to extend the jurisdiction of the Grand Council of Indian Territory but it was denied on constitutional objections, political boundaries long being considered the jurisdictional boundaries of Grand Bodies. [xiv] From 1889 to 1899 no Councils of Royal and Select Masters were established in Oklahoma by the General Grand Council. Upon adoption of a resolution to expand its territory by the Companions of Indian Territory, the General Grand Council finally consented to do so in 1900. [xv] And thus the Cryptic Rite arrived in Oklahoma united as one with Indian Territory, preventing any need for consolidation when Statehood ultimately came in 1907. While Oklahoma Council No. 1 at Atoka is but a memory, there have been fifty-nine Councils of Cryptic Masons (as they are called today) chartered in Oklahoma since 1883. Of those fifty-nine, seventeen have withstood the ages and continue to spread Cryptic Light. [xvi] The noted Oklahoma Masonic historian Charles Creager once penned “the principal foundation of the Cryptic Rite is to amplify” and it does just that. [xvii] Cryptic Masonry amplifies the lessons taught by Capitular Masonry and as such has cemented itself in the Masonic landscape of not only Oklahoma but the entire United States. [i] Frederick G. Speidel, The York Rite of Freemasonry: A History and Handbook (Mitchell-Fleming Printing Inc., 1978), 44. [ii] Charles E. Creager, A History of the Cryptic Rite of Freemasonry in Oklahoma (Muskogee, Oklahoma: Hoffman-Speed, 1925). [iv] Creager, A History of the Cryptic Rite of Freemasonry in Oklahoma. [v] Charles E. Creager, History of Freemasonry in Oklahoma (Muskogee, Oklahoma: Muskogee Print Shop, 1935), 115. [vi] Creager, A History of the Cryptic Rite of Freemasonry in Oklahoma. [vii] Creager, History of Freemasonry in Oklahoma, 115-117. [x] Creager, A History of the Cryptic Rite of Freemasonry in Oklahoma. [xi] Creager, History of Freemasonry in Oklahoma, 120-121. [xii] Creager, A History of the Cryptic Rite of Freemasonry in Oklahoma. [xiii] “Oklahoma Territory,” Oklahoma Historical Society’s Encyclopedia of Oklahoma History and Culture, <http://digital.library.okstate.edu/encyclopedia/entries/O/OK085.html>, Accessed 28 May 2013. 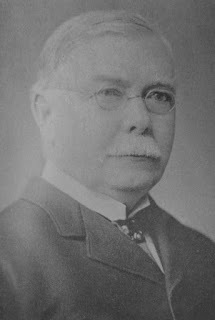 [xv] Creager, History of Freemasonry in Oklahoma, 126-127. [xvi] Grand Council of Cryptic Masons of Oklahoma, Proceedings of the 117th Annual Convocation (Oklahoma: 2011). [xvii] Creager, A History of the Cryptic Rite of Freemasonry in Oklahoma.